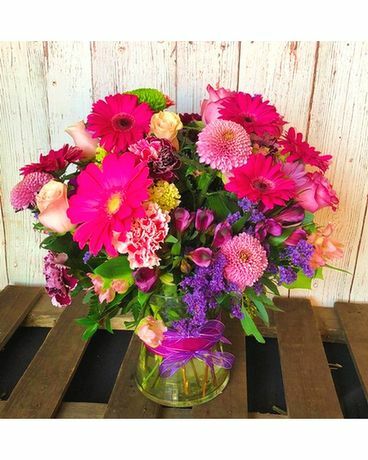 Lavender, Pinks and Purple mix in a low gathering vase. A Valentine and year around Favorite!! !